The radio broadcasting market consists of revenues generated from sales of radio programs and air time to advertisers, and from donations and subsidies, earned by entities (organizations, sole traders and partnerships) that operate broadcast studios and facilities for over-the-air or satellite delivery of radio programs, which may include entertainment, news, talk shows, business data, or religious services. 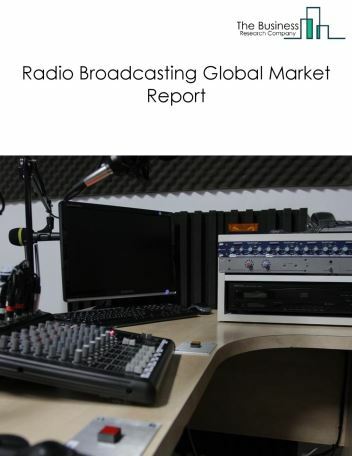 The radio broadcasting market size is expected to increase by 2021, significantly growing at a stable CAGR of around 5% during the forecast period. The growth in the radio broadcasting market is due to factors such as rise in population and changing trends towards radio. However, the market for radio broadcasting market is expected to face certain restraints from several factors such as growing awareness for online entertainement devices and reducing popularity. The global radio broadcasting market is further segmented based on type and geography. By Type - The radio broadcasting market is segmented into radio station, radio network among these segments, the radio station accounts for the largest share in the global radio broadcasting market. 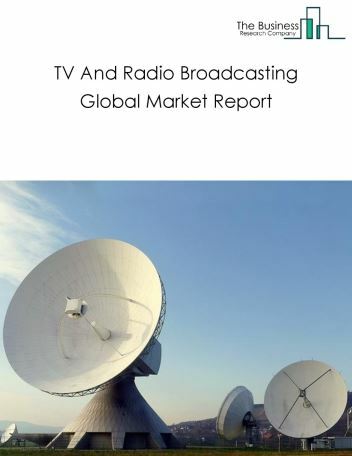 By Geography - The global radio broadcasting market is segmented into North America, South America, Asia-Pacific, Eastern Europe, Western Europe, Middle East and Africa. Among these regions, North America was the largest region in the global Radio Broadcasting market. Radio stations have been digitalized and are moving towards an online channel to avoid crackly signals and disturbances from ruining a show. Major players in the market have discarded towers and transmitters and are sending content over the internet. Digitization has also brought down costs as less manpower is required to operate. Potential Opportunities in the Radio Broadcasting Market With the increase in car users around globe, the number of radio listeners also increased hence, the scope and potential for the global radio broadcasting market market is expected to significantly rise in the forecast period. Digitalization Of Newspaper Agencies To Increase Subscriber Count! Publish A Book - Earn Authors A Name. Big Data – Allowing Authors to Target Their Audiences. The Bigger Diversification Of TV Channels – The Happier Customer. Live Radio In A Digital World. Realistic Depth Perception In Cinemas Will Drive Growth. The TV and radio broadcasting market consists of revenues generated from sales of television and radio programs, from the sale of air time to advertisers, and from donations and subsidies, earned by entities (organizations, sole traders and partnerships) that operate broadcast studios and facilities for over-the-air or satellite delivery of radio and television programs. They often produce or purchase programs, which may include entertainment, news, talk shows, business data, or religious services. 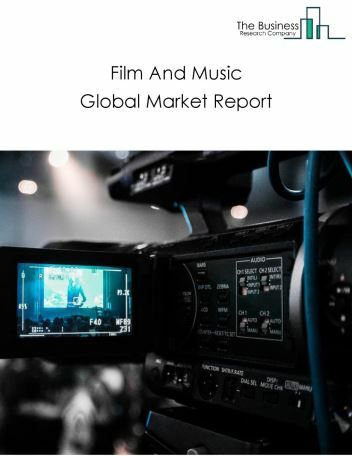 The film and music industry market consists of the revenues from the production and/or distribution of motion pictures, videos, television programs, or commercials, from the exhibition of motion pictures or from the provision of postproduction and related services or of the production and distribution of musical recordings, from publishing music, or from providing sound recording and related services earned by entities (organizations, sole traders and partnerships) that are in the film and music industry. 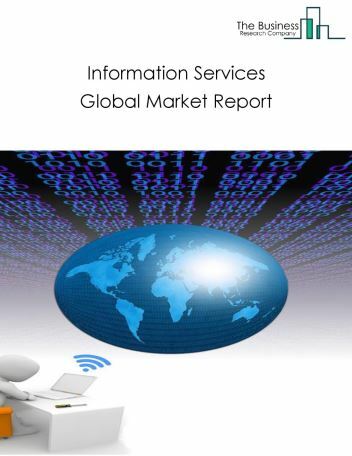 The information services market consists of the sales of information services by entities (organizations, sole traders or partnerships) that provide news reports, articles, pictures, public historical documents, photographs, maps, audio material, audiovisual material, and other archival material of historical interest. These entities include news syndicates, libraries and archives. 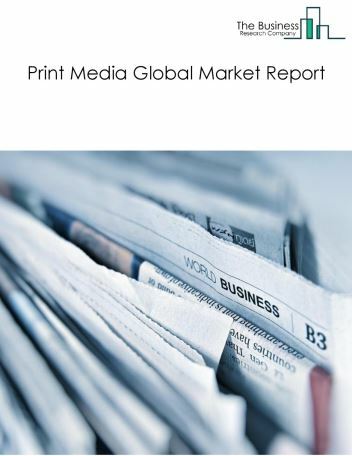 The print media market consists of the sales of print media by entities (organizations, sole traders or partnerships) that provide news reports, articles, pictures, public historical documents, photographs, maps, audio material, audio-visual material, and other archival material of historical interest. These entities include news syndicates, libraries and archives. 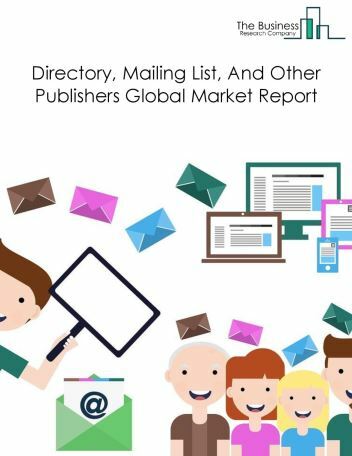 The directory and mailing list publishers market consists of revenues generated by entities (organizations, sole traders or partnerships) that publish directories, mailing lists, and collections or compilations of fact. These establishments may publish directories and mailing lists in print or electronic form. The products are typically protected in their selection, arrangement and/or presentation. Examples are lists of mailing addresses, telephone directories, directories of businesses, collections or compilations of proprietary drugs or legal case results, compilations of public records, etc. 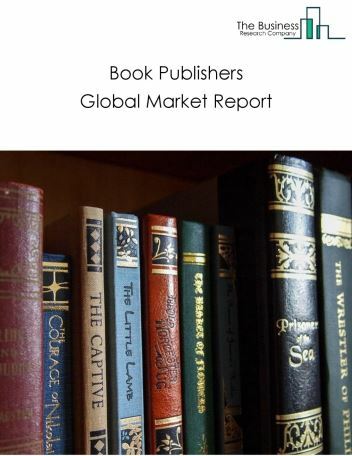 The book publishers market consists of revenues generated by entities (organizations, sole traders or partnerships) that carry out design, editing, and marketing activities necessary for producing and distributing books. These establishments may publish books in print, electronic, or audio form. Their products include atlases, religious books, school or university textbooks, encyclopaedias, technical manuals, maps and travel guides, in all cases excepting exclusive internet publishing). 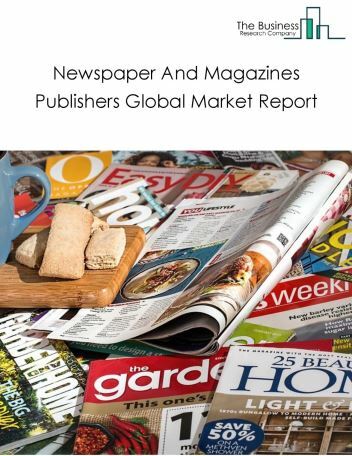 The publishing industry’s market consists of revenues generated by entities (organizations, sole traders or partnerships) that produce and distribute publications including magazines, newspapers and directories and sell and prepare advertisements. The publishing industry produces material in printed or digital format.